Magnetic Bottle Cap Dartboard Just $12.60 Down From $30.00 At Sears! You are here: Home / Great Deals / Magnetic Bottle Cap Dartboard Just $12.60 Down From $30.00 At Sears! Sears has this fun Magnetic Bottle Cap Dartboard on sale for $12.60 (Reg. $30.00)! 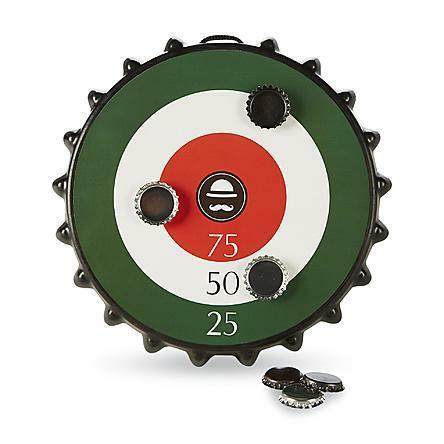 Have fun waiting for your next round of drinks with this magnetic bottle cap dartboard set. Designed for easy portability, the board can be hung up or placed on any flat surface. Its magnetic face lets you flip metal bottle caps at it to see who can rack up the highest score. Four caps are included to get your started, but you can add also your own.